The recent murders of K9 Jethro and K9 Krijger remind me of the very reason I started K9s United. When K9 Baron was murdered here in St. Johns County, Florida, I was deeply touched by the loss and felt compelled to do something to help. 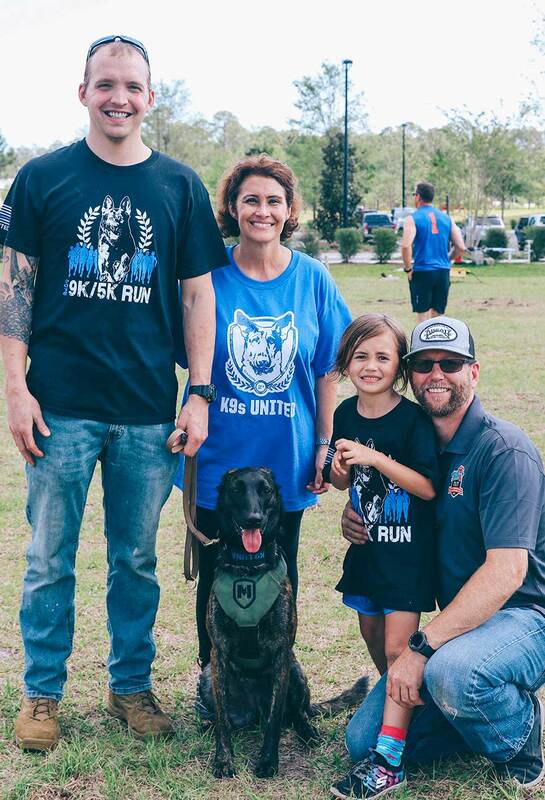 In the last year, we not only have established K9s United as a 501(c)(3) non-profit agency, we held our first fundraiser and had already delivered equipment and supplies to two Florida K9 departments. We are an all-volunteer organization, so none of the funds we raise are used to pay salaries. It is our goal to help supplement the needs that are not being met within K9 unit budgets. Each agency is different in regards to their budget and needs. K9 Units across the United States have the same budget constraints and there are always needs. In the future, we expect agencies with needs will reach out to K9s United and tell us what their needs are. We work with the agencies to identify their vendors, then make the purchase directly from the vendor. The funds we raise do not go to the department or law enforcement agency; they are strictly used to purchase supplies and equipment that is then delivered to the K9 Unit. If we have the funds, we supply those needs—it is as simple as that. And this is where you come in. We truly appreciate all of the many supporters and followers we have, and I am asking for your help. We need your support in any way you can, whether it be as a participant in our events, sharing information about our events, making a donation (monetary or auction item), volunteering, or being a corporate sponsor. K9s United is proud to support the hard-working men, women and especially the K9 dogs who put their lives on the line every day to keep us safe. It is in that spirit that I ask you to help us keep helping them.